Maureen Metcalf, the President of Metcalf & Associates, Inc., brings 26 years of business experience to support your leadership and organizational success. She is recognized as an effective leader who demonstrates operational skills coupled with the ability to analyze, develop, and implement successful strategies for profitability, growth and sustainability. 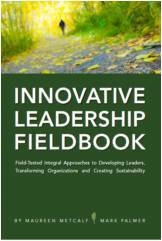 She is the author of The Innovative Leadership Fieldbook – a leading text for managers, executives and individual contributors providing a combination of well-researched theory with practical business case studies. The book defines leadership from a thoughtful, new perspective and provide six-step process for developing strong leadership qualities. Maureen combines intellectual rigor and discipline along with an ability to translate theory into practice to all of her client engagements. She also designs and teaches MBA classes in Leadership and Organizational Transformation at Capital University. Her focus is on inspiring leaders to develop innovative leadership capacity necessary to lead effective transformations while concurrently changing the overall system and culture of the organization. 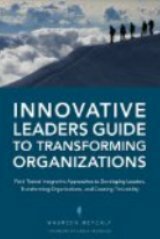 By changing systems and culture while building skills, organizations realize sustainable transformation leading to significant business results. Maureen focuses on teaching others how to identify and best utilize their individual leadership style and abilities with specific focus on Level 5 Leaders.